March home sales were plugging along nicely for other areas on the mountain. 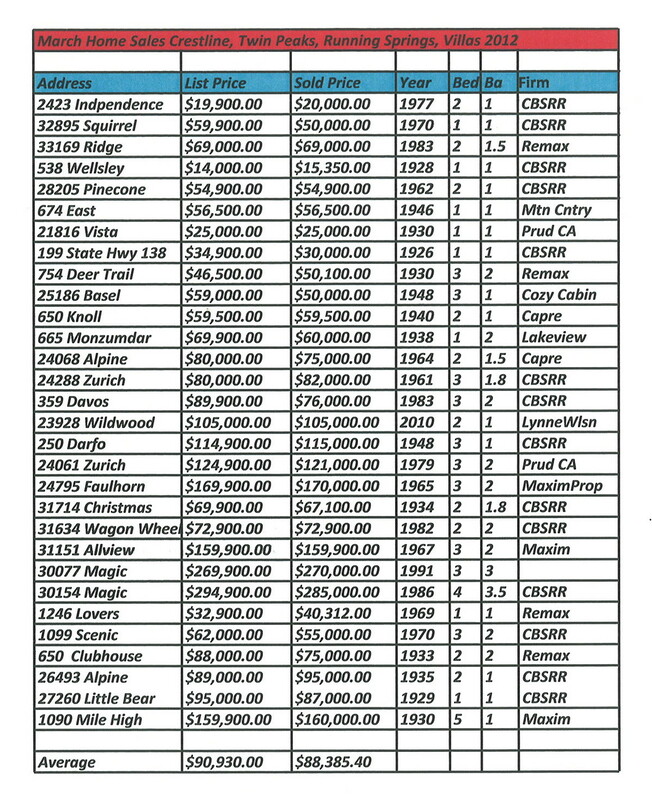 Crestline, Arrowhead Villas, Twin Peaks and Running Springs areas all had some nice sales occurring. If you are interested in seeing what the active listings are please let me know. Check out our website if you would like to scan the available properties as well. See below for the March 2012 sales. All information was obtained by the Rim of the World Assoc. of Realtors. Information is deemed reliable but not guaranteed.